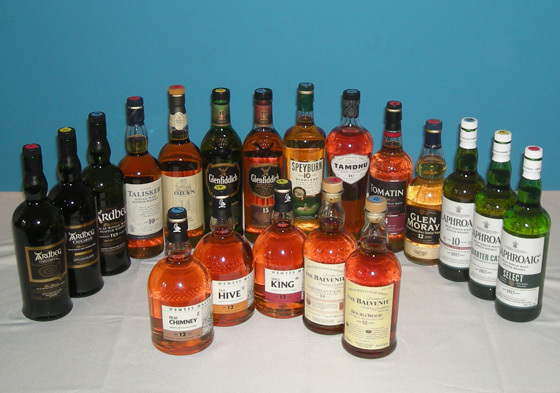 The Fifty Best held a “blind” tasting of 19 single malt scotch whiskies, aged 10-15 years with 20 pre-qualified judges. Strict tasting rules were applied. The order of service was established beforehand by lottery. Each of the single malts were poured into fresh glasses from new sealed bottles, and served at slightly above room temperature. Only ice water, unflavored unsalted crackers and bar snacks were available to cleanse the palate. The judges tasted through two flights of 7 single malts and one flight of 5. The judges wrote down their impressions of each product on score sheets. The scoring was done on a 5-point system, with 5 as the best. Double-Gold and Gold medals were awarded according to a set range of final point scores received from the judges. Due to the exceptionally high final scoring by the judges, no silver or bronze medals were awarded in this tasting. The tasting notes that follow are summaries of the judges’ opinions, with all replicated notes eliminated. The regions of origin are identified for each brand. Nose: Lemon peel, dried apricot, slight peat, malt, smoky, woody, cedar, oak. 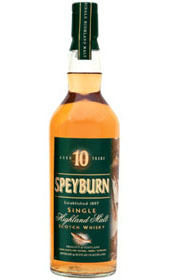 Palate: Caramel, treacle, vanilla, buttery, creamy, coffee, peppery, herbaceous, peat, smoke, saline, briny, cedar, oak, savory. 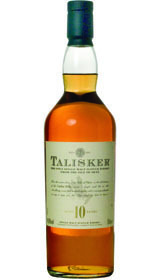 Finish: Ginger, clove, smoky, oak, classic peat, elegant. Nose: Honey, toffee, butterscotch, fruity, dried fruit, pear, apple, melon, citrus, toast, floral, sherry, walnut, cinnamon, clove, spicy, faint smoke. Palate: Caramel, molasses, treacle, buttery, dark chocolate, dried fruit, stone fruit, sweet almond, cinnamon, clove, peppery, spice, smoky, cedar, oak, dry, well balanced, savory. Finish: Chocolate, cocoa, toffee, almond, pepper, light spice, savory, soft, dry, lovely. Nose: Caramel, vanilla, cream, toffee, brown sugar, molasses, honey, maple syrup, orange marmalade, lemon peek, verbena, banana, raisins, sweet heather, nutty, cinnamon, smoky. Palate: Cinnamon, spice, honey, pear, orange peel, citrus, tropical fruits, dried fruit, dates, nougat, dark chocolate, sherry, pepper, pink pepper, almonds, coffee, tobacco, malt, peat, smoke, cedar, oak, integrated, extremely smooth, delicious. Finish: Coffee, toast, leather, zesty, pepper, smooth. Nose: Light honey, sugar, cotton candy, toffee, dried fruit, floral, herbs, grain, faint smoke, cedar, oak. 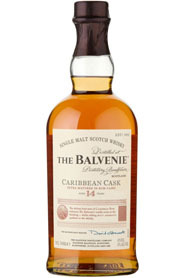 Palate: Dried fruit, raisins, honey, vanilla, caramel, nougat, creamy, buttery, light buttered rum, almond, nuts, cinnamon, clove, spice, pepper, oak, well rounded. Finish: Dried fruit, raisins, coconut, lemon, cinnamon, pepper, spicy, smoky, woody. Nose: Caramel, molasses, vanilla, cotton candy, cream, maple, chocolate, citrus, ripe banana, tropical fruit, floral, toast notes, oak. Palate: Vanilla, honey, treacle, creamy, white chocolate, orange peel, ripe orange, cherry, raisins, dried fruit, sherry, floral, cinnamon, pepper, smoke, oak, perfect wood, very well balanced, lush, nice all around, beautiful melody. Finish: Dried fruit, creamy, smooth, floral, spicy, woodsy. Nose: Dried fruit, orange peel, citrus, ripe banana, honey, molasses, nougat, sherry, heather, toasted oats, mineral, briny, cedar, smoke. Palate: Toffee, caramel, nougat. creamy, honey, dried fruit, apricot, orange, orange zest, citrus, sherry, floral, cinnamon, clove, cardamom, peppery, hot spice, slight peat, cedar, well balanced. Finish: Orange, citrus, ginger, almond, sherry, spicy, smoky, peat. Nose: Honey, toasted sugar, walnut, medium peat, smoke, light oak. 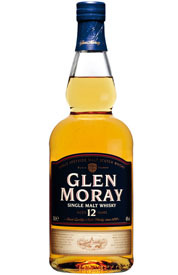 Palate: Vanilla, nutty, pepper, spicy, pronounced peat, maritime, brine, wood, smoke, oak, well balanced, delightful. Finish: Honey, chocolate, perfume, spicy, smoky. Nose: Dried fruit, vanilla, vanilla ice cream, honey, sugar cane, sherry, grain, some peat, oak. Palate: Honey, brown sugar, chocolate. caramel, nougat, toffee, orange, dates, cinnamon, hint of sherry, herbal, peat, wisp of smoke, cedar, young wood, balanced oak, beautiful. Finish: Dried fruit, honey, toast, pepper, soft, smooth, perfectly balanced, very elegant, excellent. Nose: Vanilla, caramel, brown sugar, orange peel, green apple, dried fruit, toasted almond, spicy, clove, mint, herbal, floral, malt, smoke. 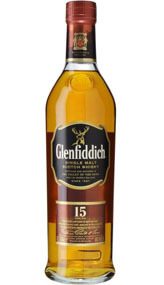 Palate: Caramel, nougat, creamy, vanilla, honey, sugar cane, dried fig, orange peel, ginger, sherry, floral, toasted grain, malt, nutty, herbs, cedar, oak, zesty. 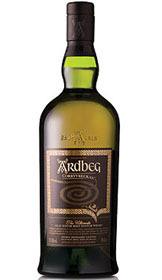 Finish: Honey, vanilla, creamy, caramel, toffee, fruit, citrus, almond, peppery, spicy, peat, touch of smoke. Nose: Candied ginger, caramel apple, apple, star fruit, banana, brown sugar, floral, toast, wheat, grain, malt, bright maritime, oak. Palate: Dried fruit, dark fruit, orange-honey, honey, white chocolate, candied ginger, dandelion, barley, faro, malt, cinnamon, pepper, bourbon cask, oak, smoky, savory. Finish: Toffee, sugar cane, coffee, lemon, citrus, peppery, round, elegant. Nose: Orange peel, floral, herbal, light spice, peat, iodine, light smoke, wood, oak. Palate: Caramel, citrus, pineapple, raisins, hint of sherry, nutmeg, spice, herbaceous, peat hearth, maritime, earthy, smoke, robust wood, oak. Finish: Citrus, herbal, pepper, spice, peat, smoky, light, smooth. Nose: Vanilla, honey, sugar, brown sugar, butterscotch, caramel, citrus, fruit, cinnamon, wheat, white pepper, pine, oak. Palate: Creamy vanilla, caramel, toffee, maple, honey, light peach, dried fruit, bright bell pepper, spice, nutty, oak, balanced, ethereal, elegant. Finish: Dried fruit, salted caramel, vanilla, light white pepper, smoky. Nose: Honey, buttery, cream, toffee, caramel, pear, banana, fruit cake, dates, light corn, floral, vegetal, malt, wood, light oak. Palate: Caramel, nougat, creamy, chocolate, honey, treacle, pear, dates, raisin, dried fruit, heather, peppery, white pepper, smoke, strong oak, delicate. Finish: Honey, sugar cane, creamy, raisin, peppery, oak, gentle. Nose: Dried fruit, prunes, plums, banana, tropical fruit, orange marmalade, honey, vanilla, caramel, faint butterscotch, treacle, heather, floral, cedar, oak. Palate: Orange marmalade, dried fruit, honey, sherry, bourbon notes, sweet spice, mint, clove, spicy, pepper, roasted nuts, cedar, pine, oak, dry. Finish: Dried fruit, chocolate, cinnamon, spice, pepper. 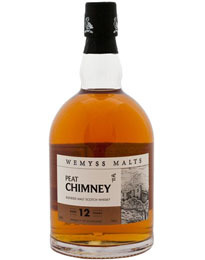 Nose: Malt, caramel, buttery, vanilla custard, red apple, hint of sherry, roasted coffee, floral, vegetal, spice, peat, light oak. Palate: Vanilla, honey, treacle, caramel, orange peel, sherry, floral, vegetal, grain, spicy, flint, peat, oaky, balanced, smooth, elegant. Finish: Cocoa, allspice, light, oaky, smoky, elegant. Nose: Orange peel, pineapple, ripe banana, honey, herbs, floral, cedar, oak, some smoke, maritime, ethereal. 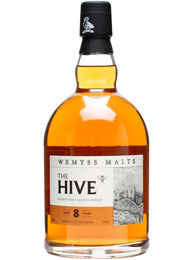 Palate: Candied fruit, orange peel, banana, raisins, honey, buttery, caramel, toffee, treacle, dried herbs, malt, white pepper, cinnamon, clove, maritime, peat, smoke, cedar, oaky. Finish: Cocoa, dark chocolate, hazelnut, honey, slight citrus, spice, smoky, gentle, complex, very nice. Nose: Orange peel, dried apricots, banana, caramel, vanilla, custard, slight honey, floral, black tea, roasted nuts, peat, smoke, oak. 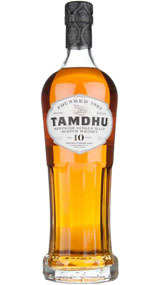 Palate: Ginger, honey, light citrus, sherry, cinnamon, clove, spice, barley, coffee, peat, briny, smoky, cedar, oak. 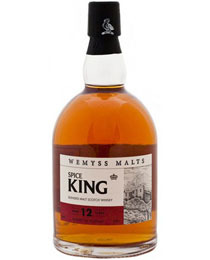 Finish: Ginger, coffee, chili, peppery, spicy, savory, smoky, peat, well balanced. Nose: Caramel, deep toffee, molasses, vanilla, honey, honeysuckle, raspberry pie, roasted corn, slight cinnamon, white pepper, oak. Palate: Caramel, molasses, chocolate, chocolate-covered cherries, orange peel, sherry notes, red bell pepper, clove, spice, peaty, smoky, oak, nicely balanced. Finish: Spice, peppery, light cinnamon, touch of peat, oak. Nose: Vanilla, sugar cane, molasses, light honey, caramel, ripe banana, chocolate. cocoa, walnut, olorosso sherry cask, briny, maritime, peat, smoke, cedar. Palate: Honey, vanilla bean, fruity, citrus, grain, chocolate, coffee, cinnamon, pepper, spicy, slight peat, briny, smoky, cedar, oak, well balanced. Finish: Honey, smoky BBQ, peppery, spicy, oak, very elegant.